Common Ground (August 6-11) is a six-day “gathering for curious people” created by The Historic Trust. Activities take place at the Marshall House, Howard House, Artillery Barracks, Red Cross Building, Providence Academy Ballroom and Chapel, and several outdoor locations. The schedule of events includes read alouds, history, literature displays, tapestry exhibitions, art workshops, opera, tours, dance, and much more. Richard Burrows, Director of Community Outreach and Programs with The Historic Trust has led this exciting event as part of his latest effort in a long history of supporting the arts and arts education to bring art, artists, and the community together. Common Ground is the result of multiple partnerships, including Arts of Clark County (now Artstra), the Marshall Foundation, the Fort Vancouver Regional Library, WSUV, Clark County Historical Museum, and Opera On Tap, to name a few. Modeled after the iconic chautauquas popular in America more than a hundred years ago, Common Ground brings speakers, teachers, musicians, performers, and craftsmen together to inspire the community. The event will also give people a chance to tap into their creative energies to celebrate the arts, culture, and heritage alive and thriving in Vancouver. As an arts advocate blazing new trails and enhancing existing ones, Burrows, also an artist, choreographer, and dancer in his day, knows the value of taking risks to try new things. 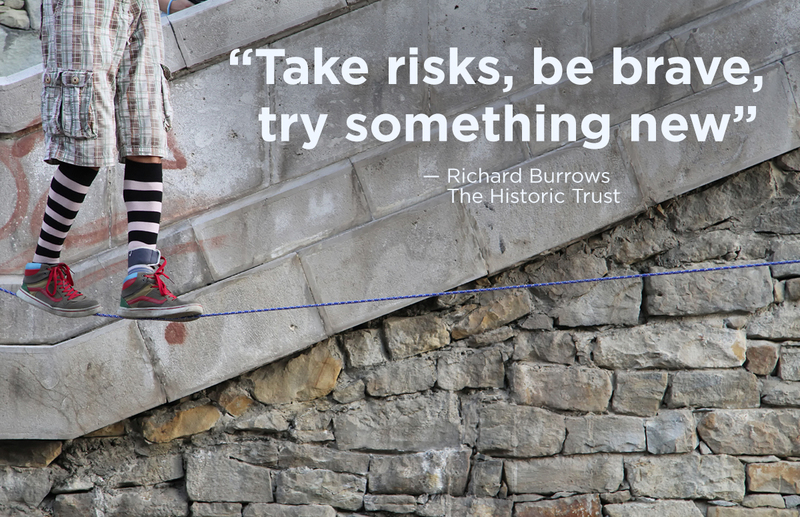 He encourages people to understand that taking risks promotes growth. And that even in the face of change and adversity you have to see the opportunity that is present. Common Ground reflects artistic values and a desire to promote arts awareness, partnerships, and connections in the community. It provides an opportunity for people to follow their creative hearts into unknown territories, to explore the unexplored, and see new and creative ideas brought to the fore in an effort to inspire and create meaningful connections. Learn more about The Historic Trust and Common Ground.